My first 20+ mile week in ten months, wow! East Nasty’s half marathon speed workouts started this week. They are on Thursdays, as usual, but I couldn’t make the first one because of a Preds game. It was on the schedule as “2x (3 min / 2 min / 1 min)”. I wasn’t sure what this meant, so I made something up and did that for my Tuesday treadmill run. I warmed up for a mile and then did two repeats of 3 minutes at 6.1, 2 minutes at 6.3, and 1 minute at 6.5. Then I finished out the third mile with an easy cool down. On Wednesday, I went out to the usual East Nasty run. Jonathan was supposed to join me, but he got caught up at work, so I ran with the same people I had the week before. It was a good run! However, I noticed my left leg tightening up in the IT band/quad area when stopping for cars on the last mile or so. I met up with Jonathan for pizza at Five Points afterwards and didn’t think anything else of it. We slept in a bit on Saturday and went out to the greenway just before lunch. The plan was to run the “flatter” section of the greenway (none of it is actually flat), but once we got a quarter mile down, we saw it was flooded. Thus, we ended up running the hillier section. We got eight miles in, but it was a little tough, and I had to stop and walk a few times. My knees were absolutely killing me nearly the whole run! And I could still sort of feel the tightness in my left leg as well, so I tried rolling that out when we returned home. Jonathan is playing indoor soccer on Sundays this season and he plays out near Percy Warner park. I wanted to go out there and run the 5.8 mile loop (or some of it, depending on how tired my legs felt). I decided I would do 4:1 intervals to assist in recovery, since I had just done eight miles the day before. I followed all the arrows next to the signs that said “Running Route” and…5.8 miles later, I still wasn’t back where I started. I kept going, thinking it had to be soon, but after another mile, I conceded that I had no idea where I was and started looking up maps. I walked for probably another two miles before running into Jonathan looking for me. Thank goodness for great boyfriends who won’t leave you lost in the park! 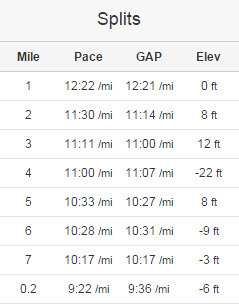 I interestingly got negative splits on this run, despite the crazy elevation profile, probably because I was wanting more and more for it to be over with by the end. When I got back and finally examined what went wrong, I realized I had been following the arrows for the 11.2 route. Oops! As the night progressed, my left IT band slowly got tighter and tighter to the point where I had to take ibuprofen just to fall asleep because it was so annoyingly painful. I’m going to take two days rest and make sure I’m doing all my clamshells this week! This week did not go as planned. I took my normal rest day on Monday. As I mentioned at the end of last week’s post, Jonathan’s car battery had died, so instead of running on Tuesday, I ended up driving him to the car dealership to pick up his fixed vehicle and then gorging on cheese dip and fajitas at SATCO. Yep. I did make it out to the East Nasty run on Wednesday. I ran with some new people (or really I was stalking behind them for the first half of the run until I finally said something) because they were doing a nice steady pace and it was easy to just follow along. 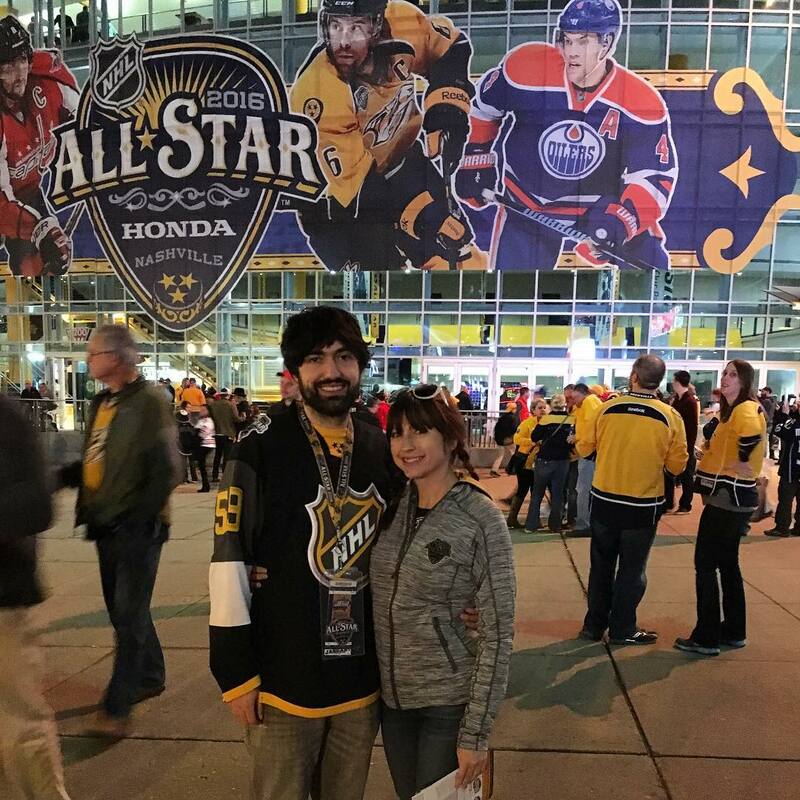 On Thursday, we ended up going downtown to briefly check out some of the NHL All Star stuff before the crowds got there on the weekend. And I didn’t run on Friday either. We had good intentions to get up on Saturday to do our long run before heading downtown for the All Star festivities, but neither of us slept well Friday night, so we chose to turn off the alarm and get some more sleep. So I didn’t get out again until Sunday and was wanting to get between 7-8 miles. I don’t know if it was all the walking the day before or what, but I was ready to call it quits after mile two. I walked so much, which I haven’t really done lately. I was blaming it on everything. I was hungry. It was hot. I was dehydrated. It was windy. It was all I could do to make it to 6.4, just shy of my seven mile goal. I’m starting to not expect much from the 15k in a couple weeks. This week was rather crazy. Thankfully, it was a planned recovery week anyway! I ran on Monday (which I hardly ever do) on the treadmill because on Tuesday we were going to the Preds game. Except I forgot my Garmin (Monday-brain). 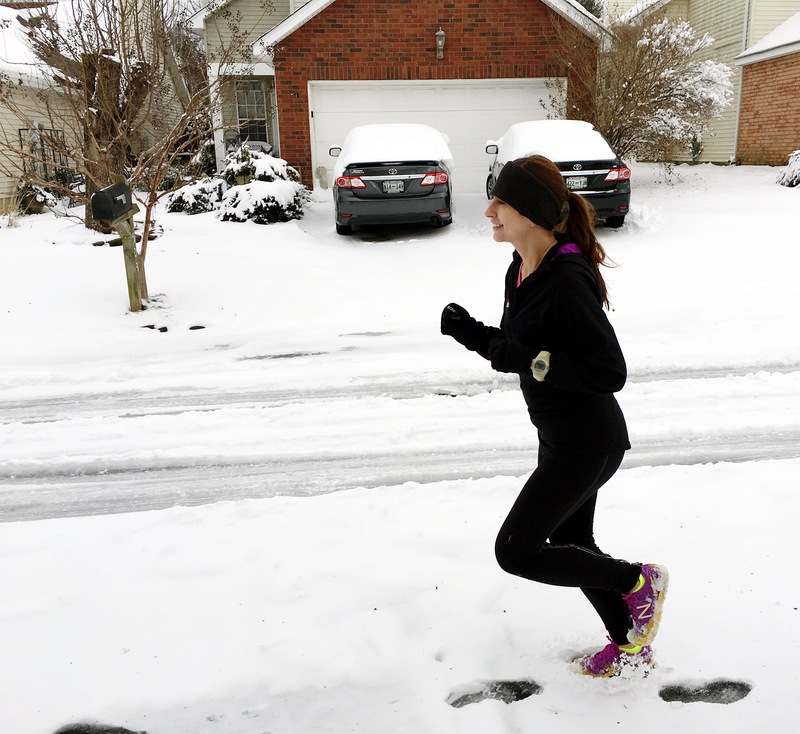 On Wednesday, I had planned to run with East Nasty (they were running my favorite route – Musica), but it had snowed and the sidewalks were still icy, so I opted for the treadmill again. To mix things up, I chose to do the trail setting, which included hills up to 6% incline. I was sore for the next few days. On Friday, we got 8-9″ of snow, the most the area has seen in over two decades, and it didn’t get above freezing again until Sunday. My original plan was to do 5 miles or so on Saturday and a couple miles on Sunday. 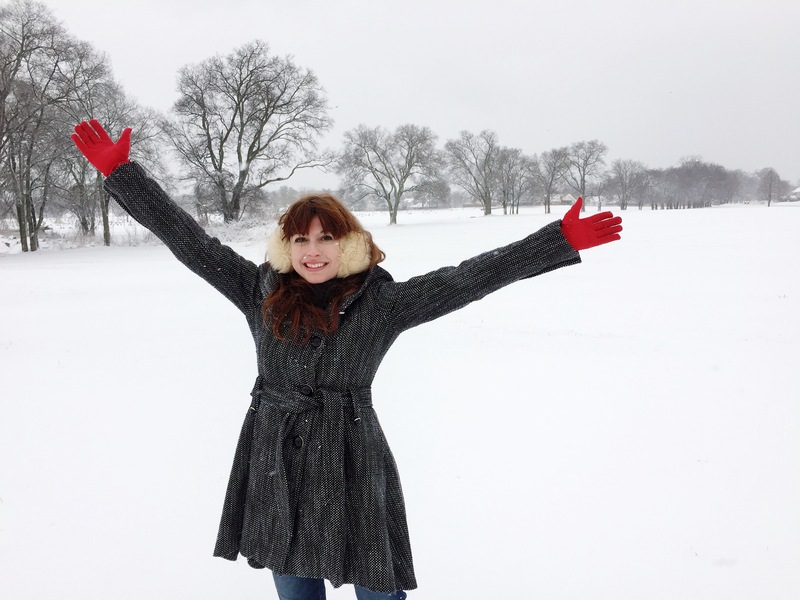 I managed to get out for a mile in the snow on Saturday (that was a tough mile! ), but I never made it out on Sunday. I didn’t walk at all this week. Not at any point on any run. My mid-week runs this week were a little speedy, but since I’m only running three times a week right now, I figured that (hopefully) won’t come back to bite me. Tuesday’s was a progressive run on the treadmill, and Thursday I ran with the Flyers. On Saturday, I dragged Jonathan out to the East Nasty half marathon training group run at Shelby Bottoms. We started out with my friends in the 2:30 half group, but kind of did our own thing after the first mile or so. We ended up doing over seven miles with negative splits! 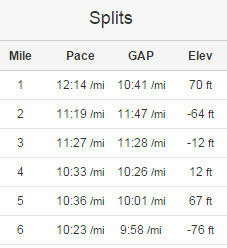 You know I love negative splits. I thought about doing a short recovery run on Sunday, but this coming week is so hectic that I will need to run on Monday and didn’t want to end up running three days in a row just yet. So far I’m happy and excited about how this training cycle is going! After a lazy first half of the week (my excuses are as follows: Tuesday, there was a Preds game, and Wednesday, I meant to run but I accidentally put two tops in my gym bag instead of my running tights…), I finally got on the treadmill for a 3 miler on Thursday. It went okay and I did some 400m pickups around 10k pace (or at least what used to be my 10k pace but is pretty freaking fast for me at the moment). On Saturday morning, I met up with the East Nasty half marathon training group (hey, after two years of saying I would join them for a Saturday long run, I finally did!). They were doing an easy run of 55 minutes (normal training) or 70 minutes (advanced training). I did something kind of in the middle since I wanted to do more than 5 miles I did last weekend. This means for the first 2.5 miles or so of my run I had some company, but the last 3.5 I was on my own. 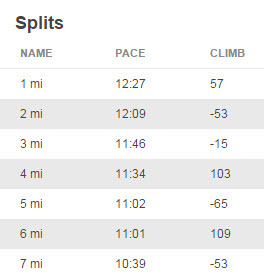 And you can tell by my splits, since I was keeping a way more conversational pace when I was running with other people. But I did manage to run 6 miles without walking, so I’m happy with my progress so far. Sunday was cold. The temperature had dropped 30 degrees overnight and it was flurrying when I went out. But I did have all my new Lululemon stuff on that I hadn’t gotten to wear yet, which was really my only motivation. I did three miles (and Garmin said 3.01 miles so I don’t know why Strava is reporting 2.9!) at a too fast pace for a recovery run, but it was cold!